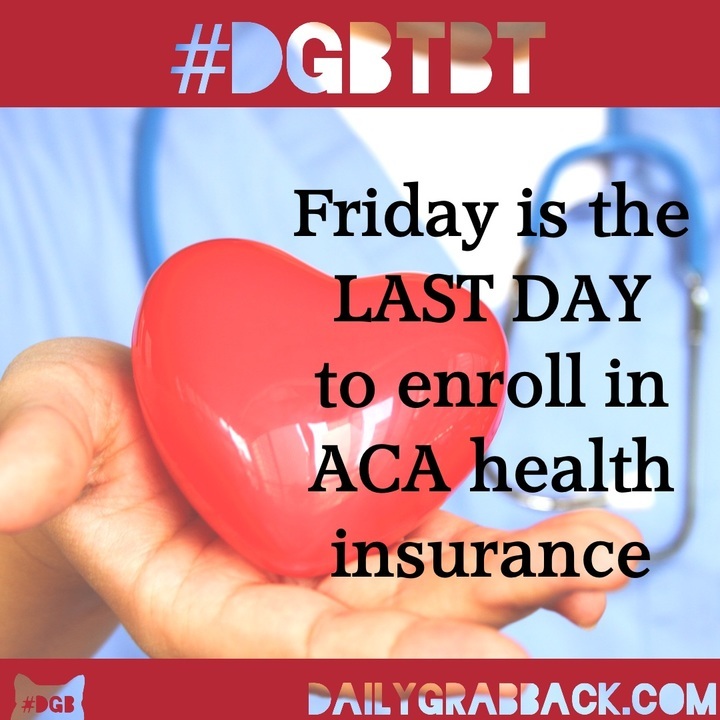 Your DGB for today is to review this ACA Grab because tomorrow is the last day to sign up during the Open Enrollment Period. We all know how hard the Trump administration is working to destroy anything and everything Obama has done, but particularly Obamacare. Despite these efforts, 650,000 more Americans have signed up for healthcare through the ACA this year than at this time last year, but numbers will be down because Trump cut the enrollment period in half. If you need insurance or know of anyone who needs it, there is still time. Sign up today and tomorrow. With Trump as President, who knows how long Americans will have readily available access to insurance, so get it while you can!